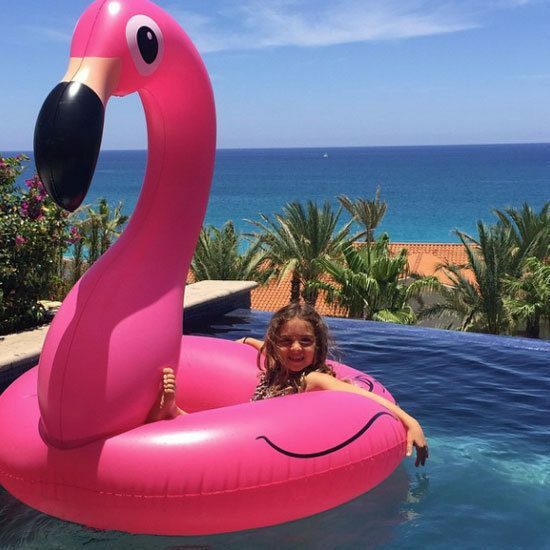 Once upon a time, pool floats were boring! Just rectangular, massive slices of vinyl pumped full of air with no characteristics to speak of. Today however, it’s a different story. 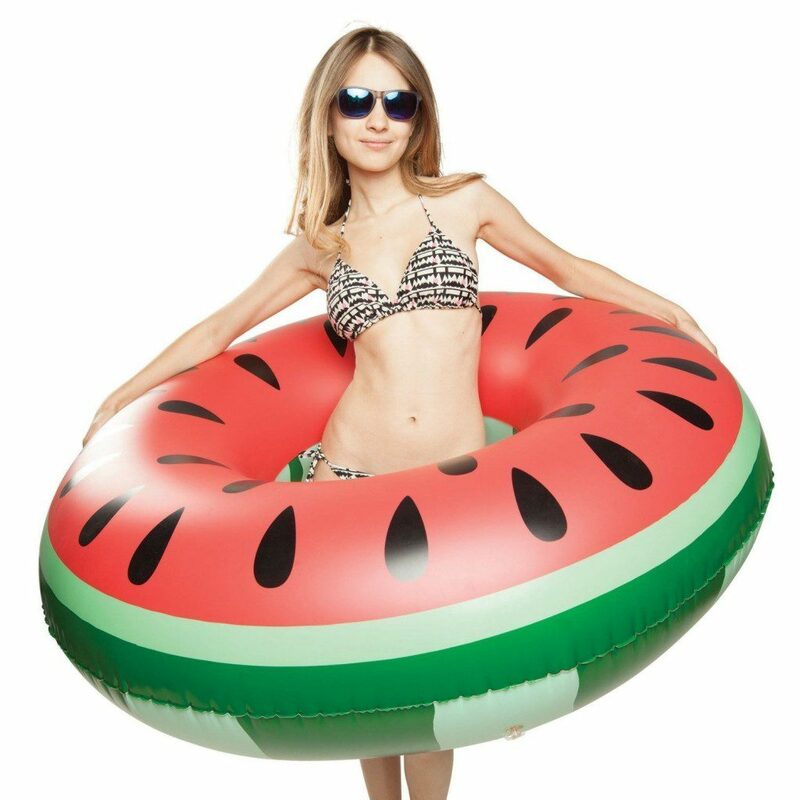 Pool floats come in all shapes and sizes, colors and designs. 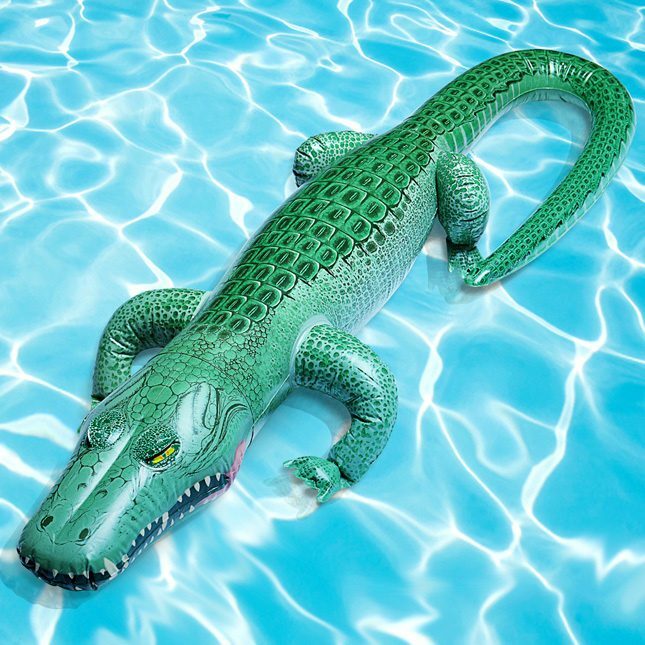 Here are some of the more unique pool floats! #1. 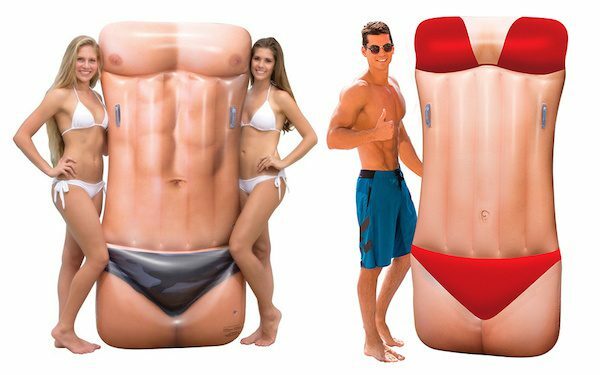 Imagine floating on water, on the torso of a hot guy? #2. And it’s not just for the ladies, men can get a total bikini babe to paddle around the pool. #3. 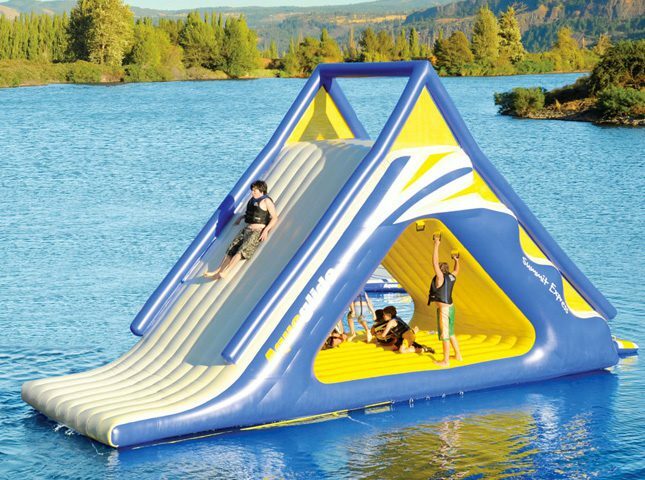 This epic float is one massive slip-and-slide/bouncy house, the price is epic as well, $9,000. #4. 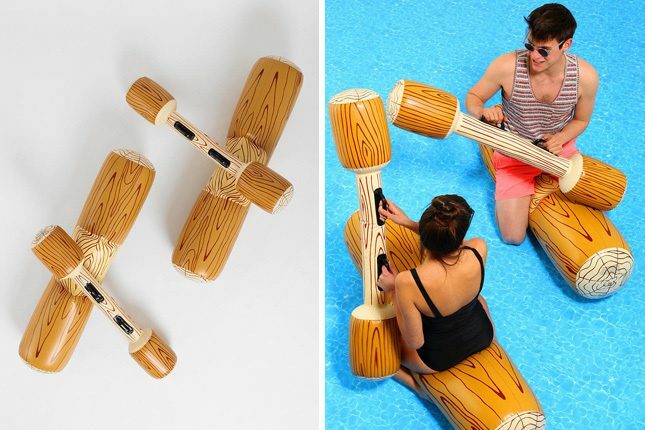 You can have so much fun on these floats, either riding or battling your swimming buddy! #5. How much fun is this float? Think of the Instagram photos you could take with this one. #6. 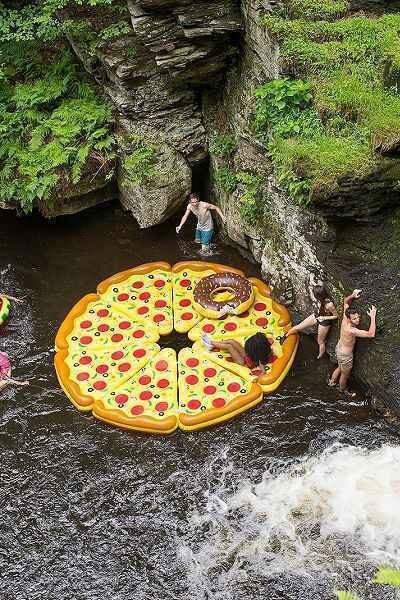 Just seven friends will complete the pie created by this float. #7. You may not mind bugs…but a floating cockroach? Kind of gross, even for a float. #8. 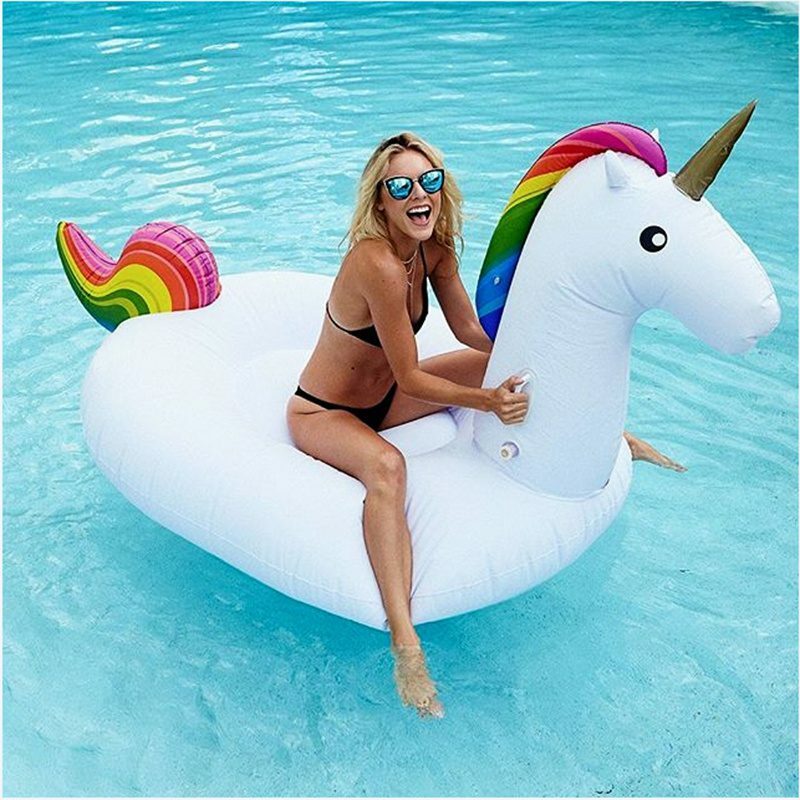 Taylor Swift made this float the most popular selling float of 2016. Who wouldn’t want to ride a unicorn? #10. This float is a tad intimidating, but pretty darn cool! #11. 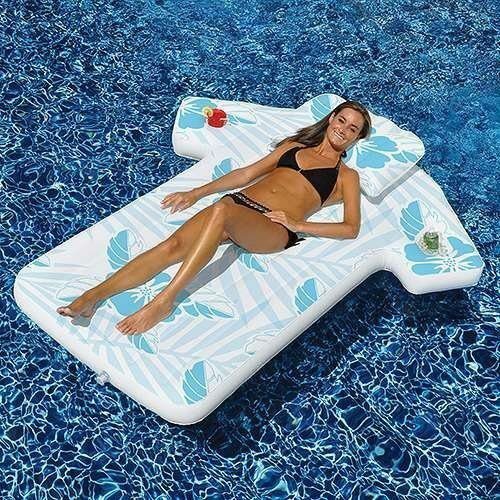 Imagine floating on this? #12. A watermelon float? This is just about as summer as you can get. #13. 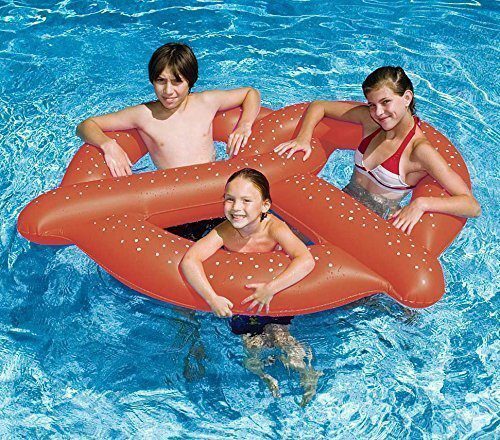 This pretzel shaped float has room for 2 more friends! #14. 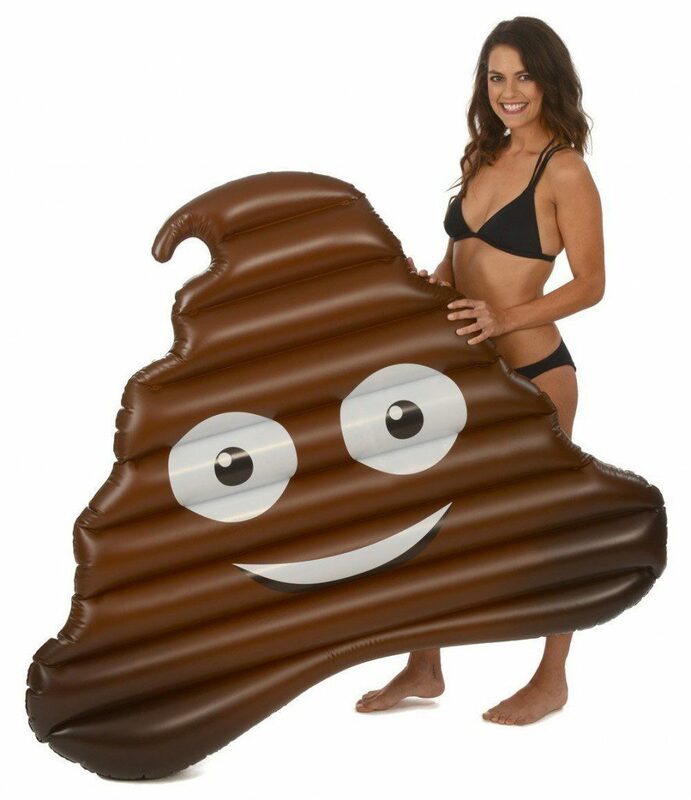 OK, not sure this is my favorite emoji, but a float? #15. 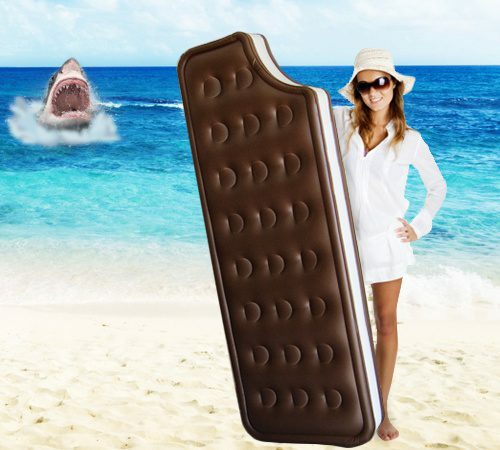 And finally, this: The ultimate summer float has cupholders for the ultimate summer cocktail!